Grapefruit essential oil reviews include opinions on brands, uses, benefits, and why essential oils are now being recognized as healthy additions to our everyday routines. With just one "whiff" of grapefruit oil you experience a tangy, sweet aroma that is energizing and refreshing. No wonder so many massage therapists use this oil in their massage sessions! This oil is often used in cellulite massage treatments because it stimulates circulation and leaves the skin feeling hydrated and smooth. Grapefruit is popular because it has the ability to detox the body of toxins, eliminate water, and totally cleanse the lymphatic system - wonderful essential oil benefits of citrus. This oil is expressed from the rind of the grapefruit and is steam distilled to create the essential oil. Some forms of the oil are extracted from the roots, stems, leaves, or flowers of the plant. Natural medicine - Naturopaths and herbalists use this oil in medicinal treatments as an anti-septic and for respiratory problems such as bronchitis or asthma. It is often used in a vaporizer or inhaled in a steam bath to aid in breathing. Massage Therapy - Because of it's mood enhancing properties, grapefruit is often found in many facial massage treatments, as well as body wraps and scrubs. Although this oil is generally safe to use, it is recommended not to use it on young children. Use only therapeutic grade essential oils for the greatest health benefits. 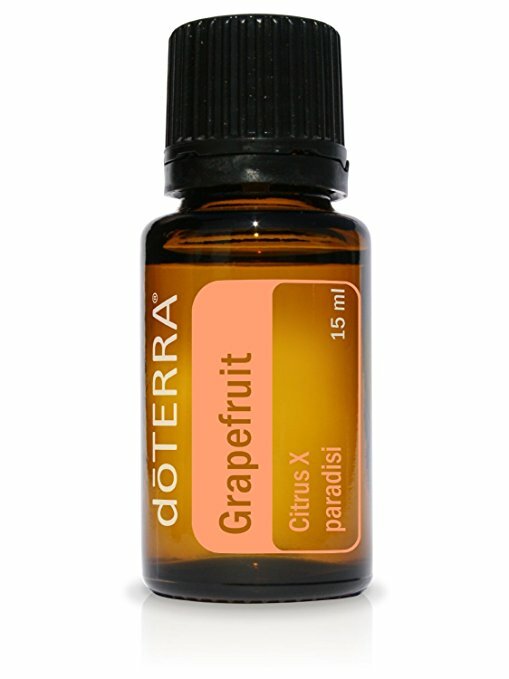 The doTERRA Grapefruit 15 ml essential oil has a sweet, citrus smell that makes it perfect for use at home, for medicinal reasons, or as a relaxing addition to oils or lotions that you use in massage therapy. Whether you are using it in your diffuser to make your house smell wonderful, as a natural alternative to ailments, or in a massage therapy setting, grapefruit oil can help the mind, body and spirit heal and revive from everyday stress.